We welcomed back to the show Mark Whittington for a wide ranging discussion including the space launch rate, technology, plus a policy and lunar discussion for 97 minutes with two segments. We started our discussion with Mark updating us on the SpaceX Boca Chica Spaceport. Mark talked about SpaceX testing the Star Hopper, building the BFR (Starship re the first stage being the Super Heavy and the second stage being the Starship), plus he talked about tourists seeing the demo on the pad, the recent wind storm damage, the potential tourist trade to the spaceport and how it might disrupt the area with traffic jams and demands for services which are not yet available. Mark did a good job of discussing the rocket being designed and built by SpaceX and the testing plan. The subject of NASA safety inspections for human spaceflight came up and Mark was asked about delays for both Boeing and SpaceX caused by these inspections. Listeners wanted to know if Mark thought the inspections were necessary. Todd sent in a question asking if Mark thought the inspections were the result of Musk Behavior on the Joe Rogan Show. Don't miss what Mark had to say on this topic. We moved on to talking about humans returning to the Moon and the lunar Gateway. Mark made it clear that he thought the Gateway was an impediment to returning humans to the Moon. He also said that Musk and his big rocket, which includes lunar plans, would be a disrupter. Listen to what Mark said regarding plans for the Gateway, SLS, and Orion, plus what Musk may have planned for the Moon. I asked Mark about the commentary that the Gateway was a fallback position because there were insufficient funds for a lunar direct program including the lunar lander which has not yet been designed or built. Mark did not think funding was an issue re the choice of the Gateway. He also mentioned a Moon Direct program with the Falcon Heavy as proposed by Dr. Zubrin. Another listener asked about the Gateway occupancy schedule given recent announcements of the Gateway not being occupied all the time and possibly being powered down when not occupied. Mark talked about the Gateway as an observation platform and important for future Mars missions. Mark talked about ISS through 2030 and possibly having commercial space stations given there are commercial companies working to create commercial space stations. Mark was then asked how the new divided congress might impact space and NASA funding. In his response to this question, he mentioned the congressional defeat of Rep. Culbertson, the risk this means to the Europa Clipper mission which he supported, and the nature of the fall 2018 campaign against the Europa Clipper Mission and Rep. Culbertson by the winner of that seat, Lizzy Fletcher. I asked Mark, being in Houston, if space was a campaign issue in the Texas senate contest with Ted Cruz and Beto O'Rourke. He said that commercial space nor anything space, including NASA, was an issue in that campaign. I asked about possible changes in what may be our present day lunar policy. Mark talked about private companies and their lunar plans, mentioning Space IL for example who has plans to go the Moon on an upcoming F9 launch. Mark said he had just posted an article in The Hill on this subject. Check it out: "Moon mission could solidify Israel as Silicon Valley of the Middle East" at https://thehill.com/opinion/international/429030-moon-mission-could-solidify-israel-as-silicon-valley-of-the-middle-east. For the second segment, we talked about the upcoming 50th Anniversary Celebrations for Apollo. Right up front, a listener asked Mark about space and the Moon for the 2020 presidential race. Mark said we know the Trump plan for space and the Moon but the only clear plan by the Democrats was from Bernie as he put forth a space plan when he ran for the office in 2016. Mark thought Bernie's policy would be more or less the same and that space would take a back seat to other Democratic party agenda items. So far nobody else has come forward about space including potential challengers to President Trump on the Republican side. We then got a question from a Seattle listener about the recently announced Green New Deal program put forth by some Democrats. Our Seattle listener wanted to know if this plan meant the end of the space program because of ending fossil fuel and other toxics and she thought rockets would be in that category. Neither Mark nor I knew for sure because space, NASA, and rocketry were not mentioned in the Green New Deal plan which you can read here: https://ocasio-cortez.house.gov/sites/ocasio-cortez.house.gov/files/Resolution%20on%20a%20Green%20New%20Deal.pdf. I complained that journalists and media folks were not asking those supporting this plan about NASA, space programs, rockets, etc. I have no idea if this plan would mean the end of our space program, public and private, but I do know others such as the Chinese, Europeans, Russians for example would continue with their space plans, rocket development programs and launches. I believe that if we had good journalists that were informed instead of partisan for one side or the other, we would get better quality interviews with important people on important topics like the Green New Deal. Unfortunately, as you have heard me say before, we don't have good journalists and the US keeps declining regarding a quality free press in the world. Check out the latest free press ratings here and see where the US is now (I follow this and mention it from time to time on various Space Show programs): https://rsf.org/en/ranking (Note that the US is #45). For the balance of the program, Mark talked about our Apollo history, human spaceflight going forward, BLEO human spaceflight and possible timelines. During his summary, he told us an interesting story that he told before on The Space Show about USAF pilot and test pilot, Robert Henry Lawrence who might have been the first African American astronaut. You can find out about this person via a simple Google search for his name but Mark wrote a story about him which you can find here: https://narratively.com/first-black-astronaut-americas-secret-outer-space-spy-program. Before ending our discussion, Mark talked about some of his recent books which may interest you plus his postings on his blog, Curmudgeons Corner (http://curmudgeons.blogspot.com). Please post your comments/questions on our blog for this show. 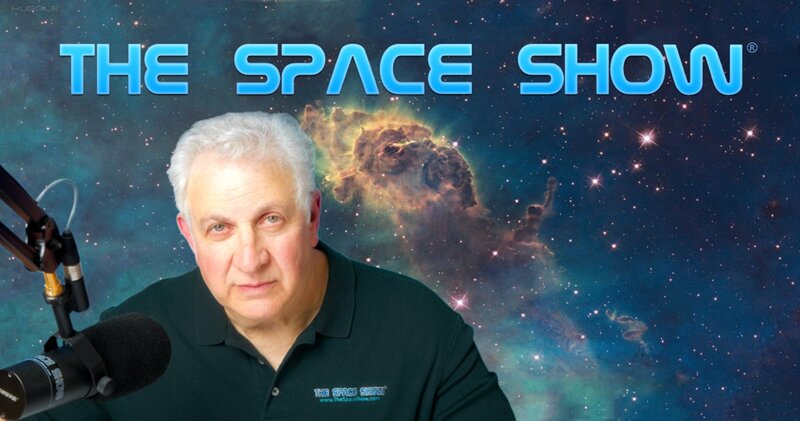 You can reach Mark through his articles and his blog plus me here at The Space Show.